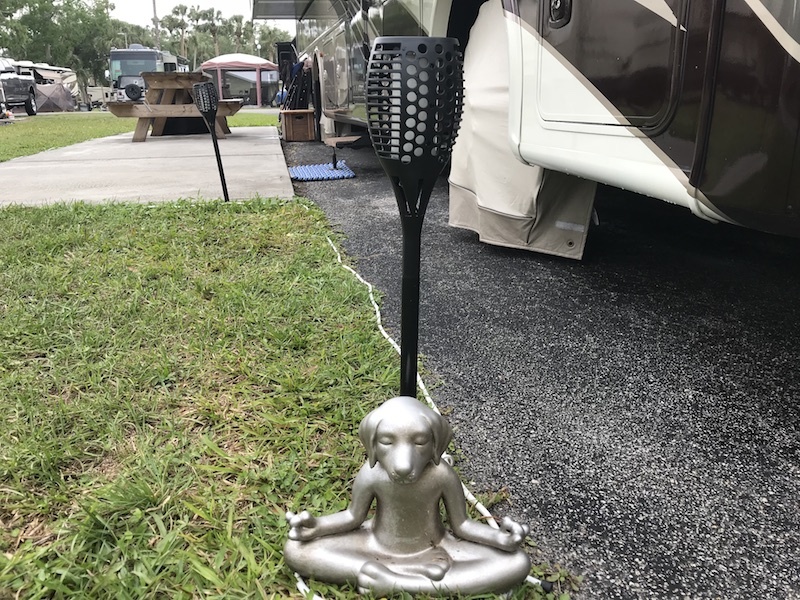 The Cinoton solar powered LED flame torches are the most noticed and asked about RV accessory that we use On Nowhere Road. We have four of the torches that we set out if we are staying at a site for more than just one night. They create a very nice ambiance and are a great conversation starter with your neighbors. The Cinoton brand of solar powered LED flame torches are the best we have owned. They have 96 LEDs that simulate a very realistic dancing flame even when you are close to them. From 50 feet away, you'll think they are a real flame. The only thing missing is the sound. Check out the realistic look of the flames in the short clip below. The LED torches stand about two feet tall and come in two parts - a stake that you drive into the ground, and a post/torch which slides onto the stake. The Cinoton torches seem to be well made and sturdy. Roxie, On Nowhere Road's princess, has knocked them over without damaging them. They seem to come off the stake very easily so that they fall off instead of breaking ... however, we've never had one fall over by itself or in heavy wind. I do imagine that if you are rough with them or have small children, then the post would be the weakest part. 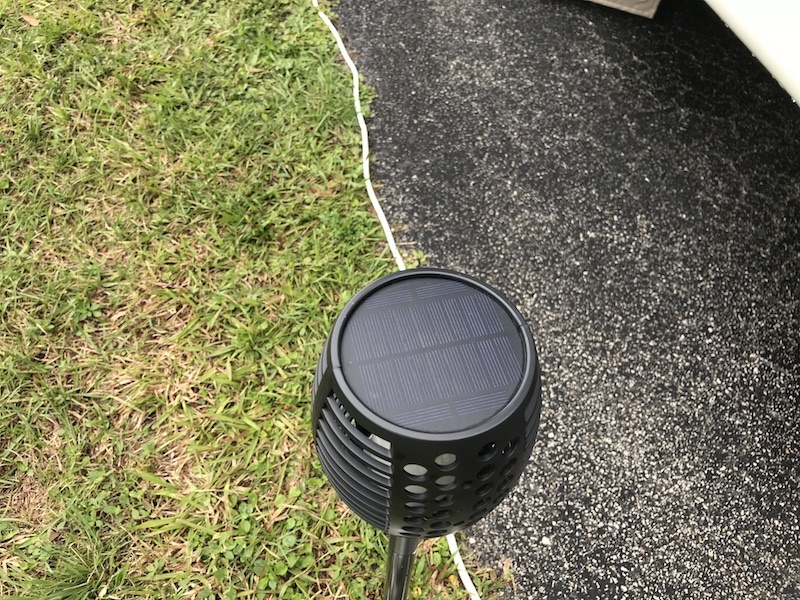 The LED torches have a very large solar panel for such a small light. Cinoton claims that it takes eight hours to fully charge the batteries and that the torch will operate for 12 hours when fully charged. However, I always turn the torches off just before I go to bed and I have never had one die with dead batteries even on an overcast day. Another nice feature of the Cinoton solar powered LED flame torch is that the batteries will charge whether the torch is turned on or off. We have other solar lights that you must have turned on in order for them to charge. It can be disappointing if you forget to turn them on and discover that they're not charged when you want to enjoy them in the evening. Not a problem with the Cinoton torches! 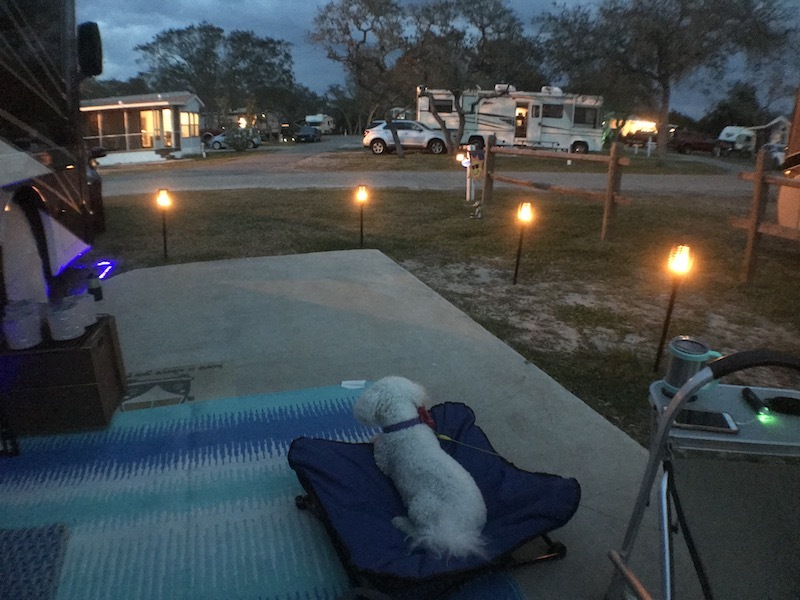 Overall, we love our Cinoton solar powered LED flame torches and plan to buy more of them to add to our current set of four. They are very affordable, durable, long lasting, and a great addition to your outdoor living space. If you found this review helpful, please consider using our Amazon link above or below to shop on Amazon. If you make a purchase, we may earn a small commission from Amazon but it won't cost you any more. Thanks! The Amazon link below is for a set of two Cinoton Solar LED tiki torches.